Your home is usually your greatest financial asset and pest and termite control can be difficult due to varying structural elements and soil conditions. 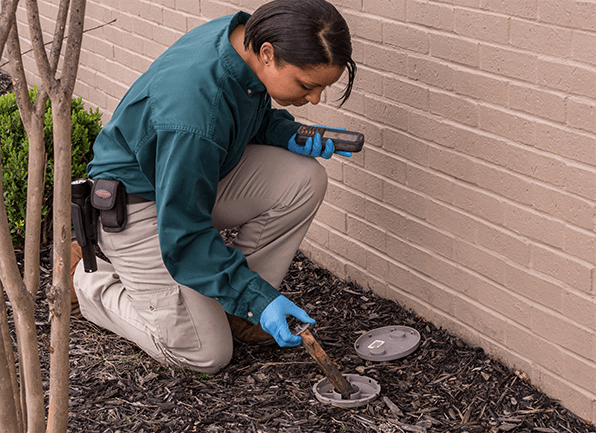 We have access to such resources as specialized products, tools and training that help us successfully eliminate your pest and termite infestations, which most homeowners simply don't have. All pesticides are inherently poisonous and our state certified technicians are trained to handle them with respect to human safety and the environment. Action Pest Control believes strongly in choosing the safest approach to solving each pest occurrence and of course, all materials we use are registered with the Environmental Protection Agency (EPA). Action Pest Control practices Integrated Pest Management (IPM) which utilizes many non-chemical control techniques such as sanitation, harborage reduction, exclusion, sealing, mechanical controls and environmental management. No. All our applications are odorless or have low-odor alternatives. Ask your Action pest professional if you have concerns about what you should expect for specific treatments. The danger of any pesticide is all about exposure. The do-it-yourselfer often chooses over-the-counter products that are much more toxic than the professional materials we utilize. To compound this mistake, the homeowner is not trained in the application methods we utilize that virtually eliminate any exposure to people and pets. If you eliminate exposure, then you eliminate risk. What does Action do for bird control? Action offers a variety of bird control services in Indiana, Kentucky, Illinois, and surrounding states including Ohio, Tennessee, Michigan and Missouri. Our services include: Exclusion systems utilizing the Bird-B-Gone products, Roost & Nest Removal, Flock Disbursement, Flock Reduction and Roost Decontamination.